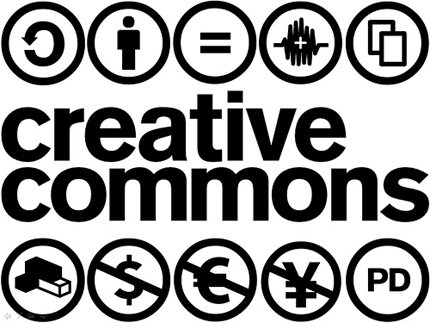 Creative Commons is a Non profit Organization which distributes licenses allowing distribution of copyrighted works. If an Author wants to give people right to share, use or even build upon a work you've created then you can publish it under one of the CC licenses. Creative Commons gives you flexibility (for example, you can choose to allow only non-commercial uses) and protects the people who use your work, so they don’t have to worry about copyright infringement, as long as they abide by the conditions you have specified. In Simple words, If you've created some work and don't want people to share or use without giving credit and even use it for commercial purposes then you can publish your work under CC. 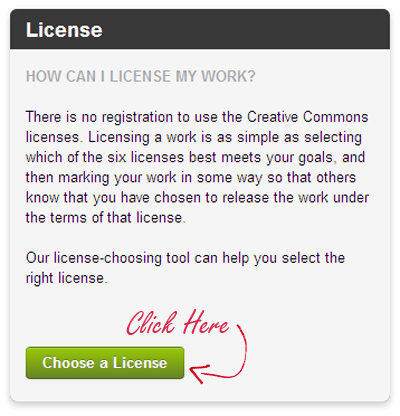 Today I'll be showing you How to Obtain a CC license for your work with a step by step guide. To Learn more about Creative Commons, Click Here. How to Get a Creative Commons License for Your Work. Step 2: In License tab, Click on Choose a License. Step 3: Now You can set License features according to you. Allow Modifications of your work - Yes/No. Allow Commercial use of your work - Yes/No. Step 4: Fill out the 'Help others Attribute you' form. Title of Work - This is the Title of Work you are licensing. Attribute Work to URL - Authors Website or URL associated with work. Source Work URL - URL of work upon which it is based. More Permissions URL - URL with information about obtaining rights which are not already permitted by CC license. 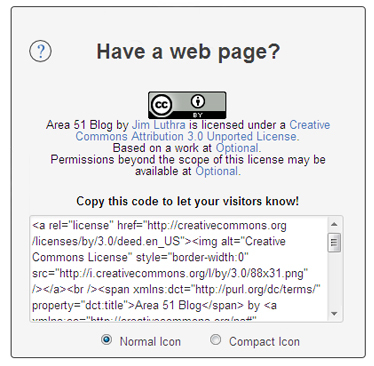 Step 5: Now if you have a Website, You can Add a CC License Badge to it So that your visitors know about your license. Hope this Tutorial was helpful, Please leave comments below expressing your views about this Tutorial.